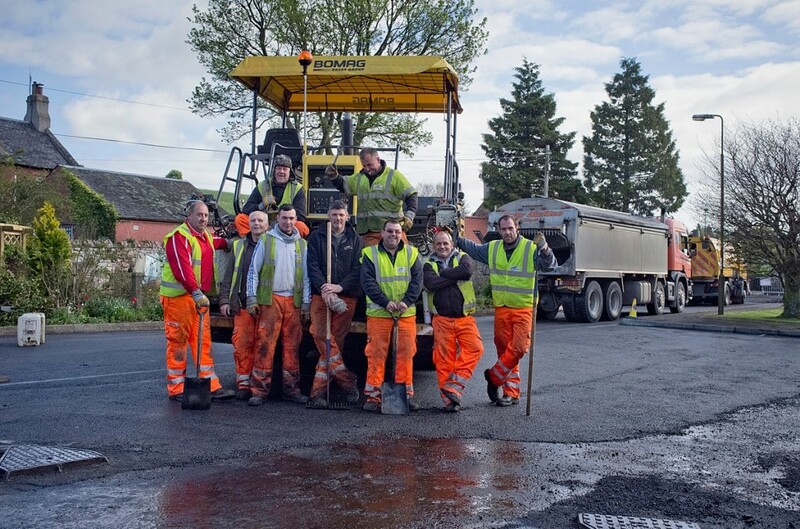 Here’s a photo taken by Graham Barnes showing the team of guys working in Garvald this week to rebuild the manholes and resurface the road at Burnside Court. It’s great to see our village being looked after. If you notice a road in poor condition or a pothole, you can report it online at the East Lothian Council website. This entry was posted in Community Council on May 2, 2014 by Admin.